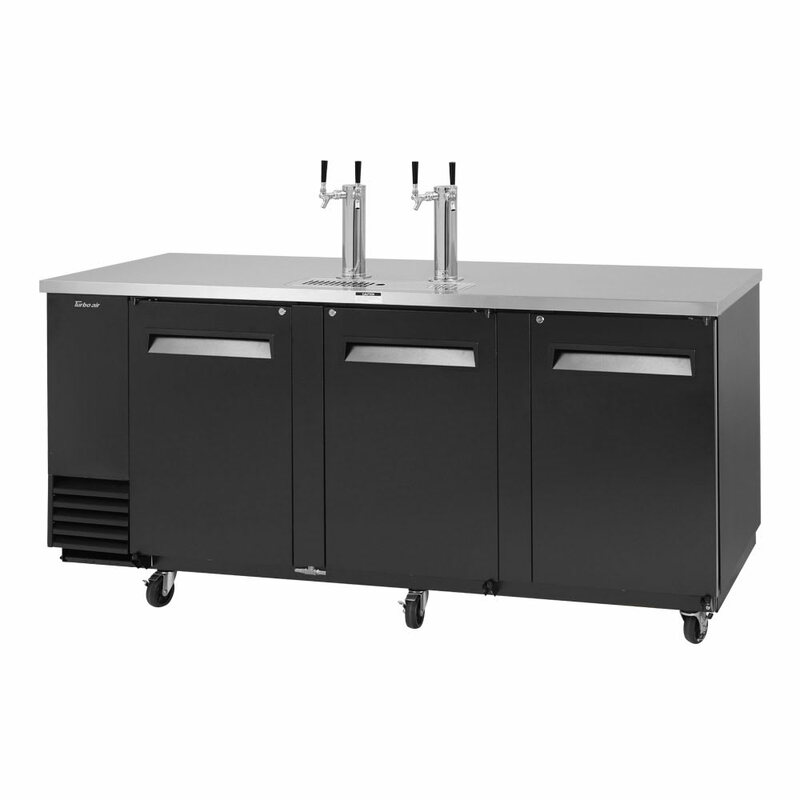 The Turbo Air TBD-4SB-N draft beer system is designed to hold four half barrels, but with a 32-inch interior height, it can accommodate a variety of other keg sizes. Each of the insulated stainless steel beer towers has two taps, so operators can serve a high volume during busy hours. Enabling operators to hold beer at an ideal temperature, the forced-air cooling system maintains temperatures between 33 and 38 degrees Fahrenheit with R290 hydrocarbon refrigerant, which is a more environmentally friendly option that traditional refrigerants. To help prevent system malfunctions, the condenser is automatically brushed by a self-cleaning device each day, and the evaporator has a corrosion-resistant coating. 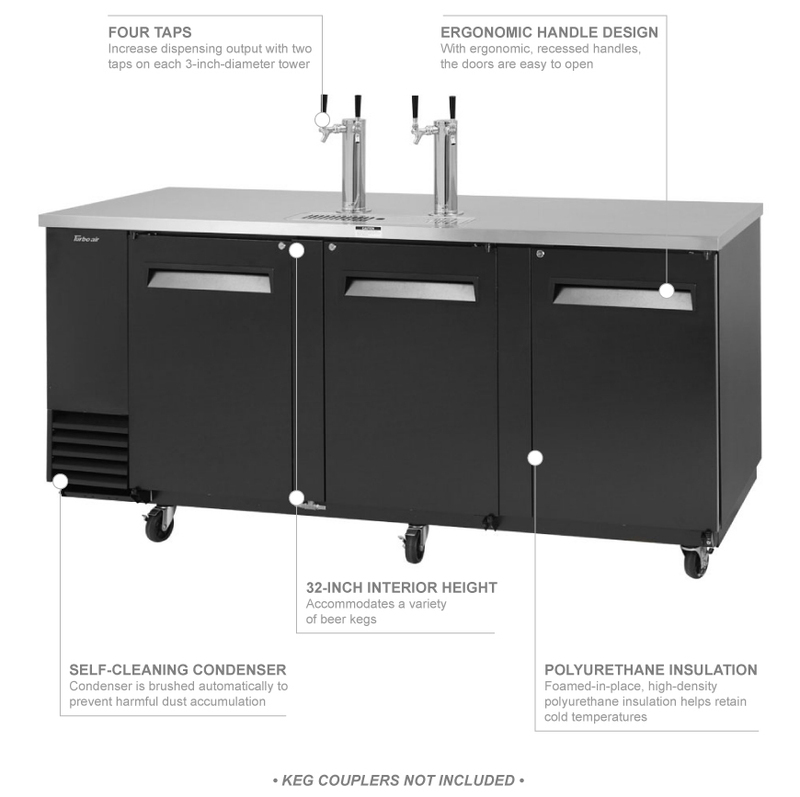 The doors on the Turbo Air TBD-4SB-N beer dispenser open effortlessly with ergonomic handles, and unauthorized product access is restricted by door locks for additional security. A black vinyl finish on the exterior resists wear and tear and fits into most settings. On the stainless steel countertop, employees can prep drinks and garnishes. 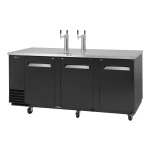 Read more about beer dispensers in this article on draft beer systems.